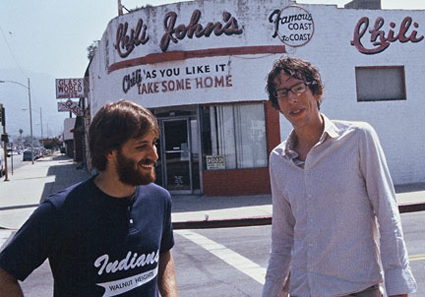 This photo of The Black Keys was taken outside of Chili John’s in on Burbank Blvd. in Burbank, California. Lithuanian immigrant John Isaac began serving Southwestern chili at his Green Bay bar in 1900. 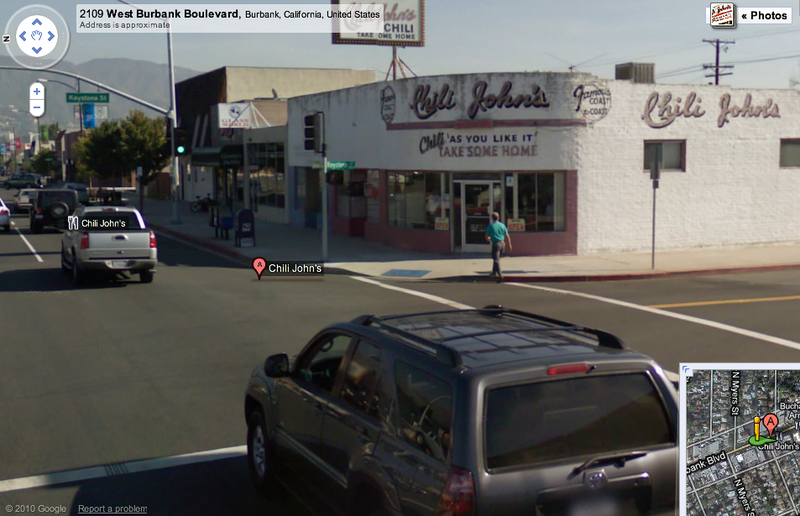 Thirteen years later, the chili grew so popular that he renamed the establishment Chili John’s. Son Ernie moved to Los Angeles and launched Chili John’s of California in 1946, installing the U-shaped counter and, since he was an avid fisherman, painting the mountain lake mural. For the past 20 years, the Loguercio family has owned Chili John’s. Gene recently passed away, but wife Debbie has carried on with sons Anthony and Alec. At first, the menu was limited to chili, spaghetti and beans. The Loguercios still use the original recipe, but added chicken and veggie version. They make two icebox pies, lemon and pineapple, both with crumbly Graham cracker crusts. As Debbie Loguercio said, “It’s just real food, no filler.” Closed in July and August.